In the late summer of 2014 John Cougill of Richmond came to me and requested a very interesting painting. 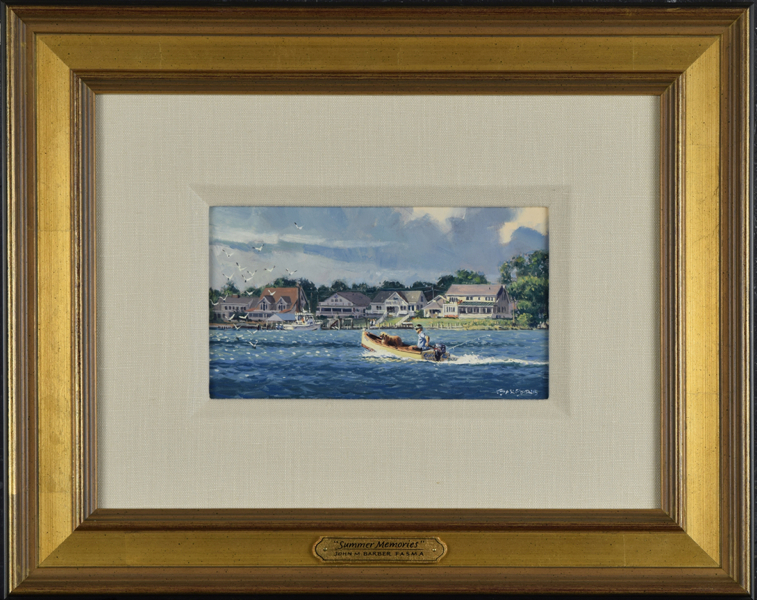 The oil would feature a view of Sturgeon Creek, Deltaville, Virginia and their home. 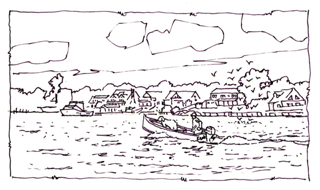 In addition his son Cameron would be pictured coming in from some early morning fishing aboard their wooden Wright skiff that he and his dad built in 2008 at the Deltaville Maritime Museum. The family’s beautiful golden retriever Bella is also aboard Crab Cake in her favorite position at the bow. 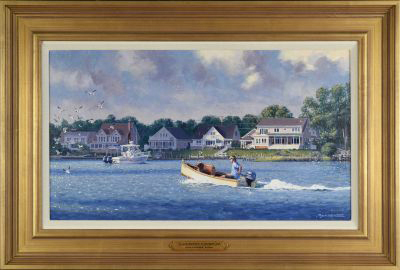 As the painting proceeded it was determined that John would be included at the helm of his Grady White Gulfstream. We then decided to ad John’s beautiful wife Alison and their daughter Chandler on the dock. So, in reality the painting evolved into a family portrait in a place that they all love. Some of you may be aware of the destructive tornado that passed through this area in April 2011 and destroyed all five homes along this shore as well as many others in the Deltaville area and the historic Zoar Baptist Church on Main Street. These homes were rebuilt with the Cougill’s on the far right. They are a wonderful family and it has been a true pleasure doing this project with them. Working with my clients to create a painting that will live on for generations makes my work even more of a joy. 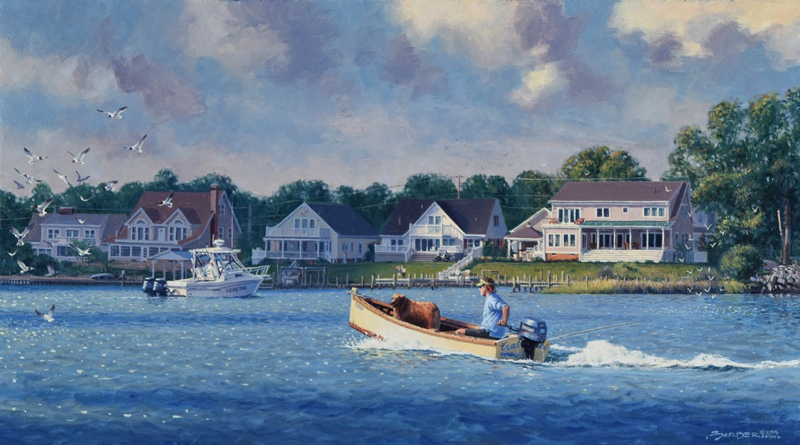 The major oil is on canvas 13″ x 23″ with an overall framed size of 20″ x 30″. Below is the initial sketch, the oil study and the framed oil painting.